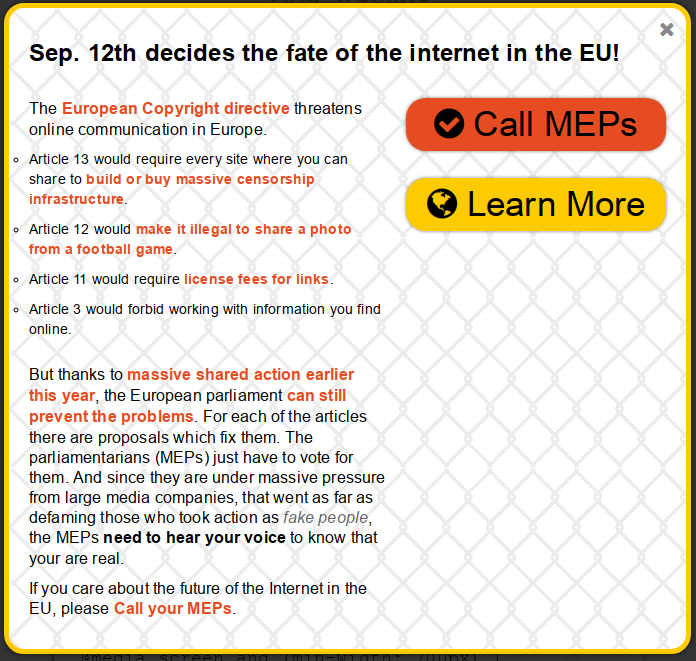 If you care about the future of the Internet in the EU, please Call your MEPs! // upon the current date. // get the time `plusDays` in the future. // can be a fraction. // optionally hide elem and set a cookie to keep the fsf-dbd-elem hidden for the next `forDays`.